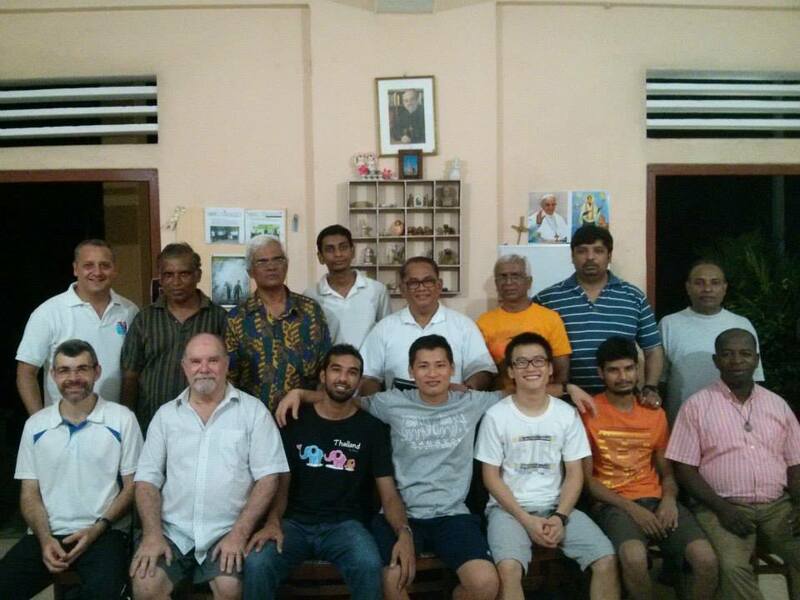 Members of the newly formed Mission Commission of Asia composed of, Brothers Willy Lubrico (East Asia) Mervyn Perera (South Asia) and Francis Attah (District of Asia), met for the first time in Negombo, Sri Lanka from the 10th to 16th April. Also in attendance was Br. João Carlos the Director of the Mission Secretariat and Br. Chris Wills from the Secretariat for Collaboration for Mission International. Brothers Sunanda Alwis and Paul Bhatti (South Asia) were also present for the meeting as the participants of the II MIMA in Nairobi, Kenya. The main issue of the meeting was the preparation for the proposed MIMA ASIA. It was addressed and has been scheduled to place from the 12thto 16th of December 2015 at The Sisters of Good Shepherd Convent in Negombo, Sri Lanka. MIMA ASIA aims to draw about fifty participants comprising Brothers, Lay and young people from the three Marist Administrative Units in Asia. The commission in the preparation has taken a great deal of inspiration and examples for the recent II MIMA in Nairobi-Kenya, however, there are several elements suggested to give it an Asian taste. The next meeting is scheduled to take place from 16 to 17 September, 2015, in Negombo, Sri Lanka.